PGIMER BSc Nursing 2018 Chandigarh result has been released on 13 August 2018. The PGIMER Chandigarh BSc Nursing 2018 result is available online in the form of merit list. Links to download both roll number wise result of PGIMER BSc Nursing 2018 and merit wise result is available on this page. PGIMER BSc Nursing Admission 2018 entrance test was conducted on 12 August for the admission to 93 BSc Nursing and 62 BSc Nursing (Post-Basic) courses. Candidates securing the minimum cut off percentile are included in the PGIMER BSc Nursing merit list. The candidates who are included in the PGIMER BSc Nursing merit list are eligible for the counselling rounds. The PGIMER BSc Nursing Counselling 2018 is on 16 August 2018 at 11 am in the Bhargava Auditorium. The seat allotment will be done based on the rank, preferences of courses and seats available. Read the article PGIMER BSc Nursing Admission 2018, for details on the result, preparation of merit list, counselling, etc. Latest Updates: PGIMER BSc Nursing Result 2018 has been announced on 13 August 2018. Counselling round is on 16 August 2018. For more details on BSc Nursing click on the link provided here. Candidates can check the important dates of PGIMER BSc Nursing from the table below in order to avoid missing any crucial events. Admission in PGIMER Chandigarh BSc Nursing (4 Years) and BSc Nursing (Post-Basic) is done on the basis of entrance exam. The entrance examination for BSc Nursing (4 Years) and BSc Nursing (Post-Basic) courses was conducted on 12 August. The selection of the candidates will be based purely on the merit basis. The merit list of the candidates is prepared for the PGIMER BSc Nursing Admission 2018, and the same has been uploaded on this page below. The decision of the Director, PGIMER, Chandigarh will be final. The candidates whose names are in the merit list are required to submit the necessary documents to participate in the counselling rounds. Note: Failing to submit the mentioned documents will result in cancellation of the candidature. 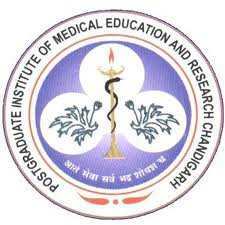 Gender: Only female candidates can apply for appearing in the entrance examination for admission in PGIMER Chandigarh BSc Nursing (4 Years). Age: The candidates should be aged 17 to 25 years old at the time of admission. Educational Qualification: The candidates must be passed in class 12 or equivalent examination with Physics, Chemistry, Biology, and English as compulsory subjects and should have secured minimum 50% aggregate marks from a recognized board. Educational Qualification: The candidates should be passed in 10+2 or equivalent examination with Physics, Chemistry, Biology, and English under 10+2+3 scheme from a college/institute/school recognized by the Punjab University. The candidates should have passed with minimum 50% aggregate marks from a recognized board. STEP 5: After filling the application form, the candidates have to now review it. Now the candidates have to submit the application form by clicking the option given there. The candidates have to take a print out of submitted application form. STEP 6: After submission of the application fee, the system will generate a challan for the application fee payment. The candidates can pay the application fee through generated challan at any branches of State Bank of India. Those candidates who willing to appear in PGIMER Chandigarh BSc Nursing (4 Years) and BSc Nursing (Post-Basic) entrance exam can submit the application form only through online mode from the first week of June 2018 on the official website of PGIMER. After submission and payment of the application form, the candidates should check the status of their application. Application form submitted in any other mode will not be accepted.